where old west history and hospitality live on. Located 8 miles north of I90 between Exits 143 and 131. (Please use our emailed directions or Google Maps. DO NOT USE Mapquest). Twenty minutes northeast of majestic Badlands National Park, named one of National Geographic Traveler's Drives of a Lifetime, experience the "peace of the untouched prairies" on our multi- generation ranch. 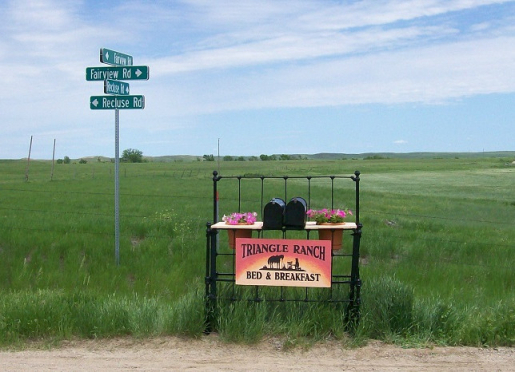 Triangle Ranch, named for its horse and cattle brand, was homesteaded in 1903 by Lyndy's great grandparents. 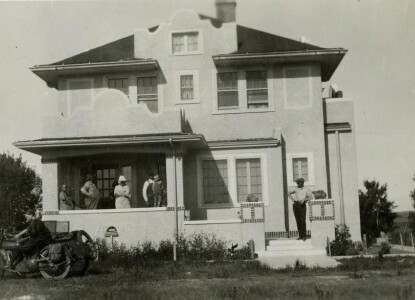 After living in a sod dugout then a log house, they ordered and built the beautiful Sears & Roebuck "Alhambra" Catalog Home in 1923, now Triangle Ranch Bed & Breakfast. Four generations later we are still blessed to live where the prairie meets the river breaks northeast of the Badlands. Triangle Ranch is centrally located to the Badlands National Park, Minute Man Missile Historic Site Visitors Center, Buffalo Gap National Grasslands, Mt. Rushmore, Black Hills, Sturgis Motorcycle Rally, two Indian Reservations and our capital city, Pierre, along the Missouri River. Your hosts, Kenny & Lyndy, will welcome you on the stately front porch of our Sears, Roebuck and Co. Honorbilt home. Inside, the hospitality and decor will take you back to the early 1900's. The warm patina of the Art's & Crafts oak woodwork, the massive fireplace, the light gleaming from the french windows in its bays, the deep wine and ecru of its comfortable overstuffed furnishings are all reflected in Grandma Grace Williams' crystal chandeliers. 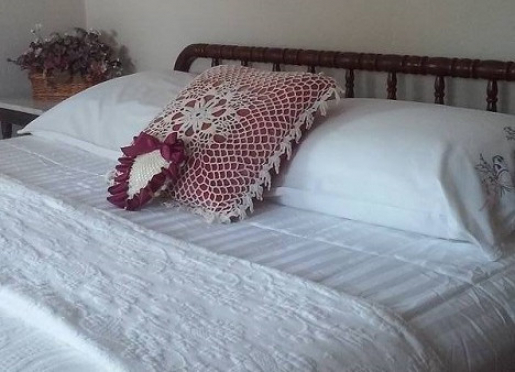 Triangle Ranch offers 4 gracious, private, air-conditioned guestrooms from $98 single (click "Rooms & Availability" tab above for room pictures, descriptions and rates) and a separate "Carriage House", ideal for families or honeymooners! For larger groups and longer stays we offer our new 3 bedroom Cabin Under the Hill nearby on our property. Triangle Ranch does not offer horses for riding, but guests are welcome to make friends with our beautiful black mare, Shortcake, who is always up for petting and a nibble of oats. For riding we refer our guests to Badlands Ranch Rides. Just call for contact information. We offer convenient lodging for hunters. Our area boasts prime mule deer, whitetail deer, pronghorn antelope, wild turkey and varmint hunting nearby on the Buffalo Gap National Grasslands and SDGFP Walk In area. For those who would rather use their camera we offer Self-Guided Prairie Photo Safaris! Capture the sunlit beauty of our land and wildlife. 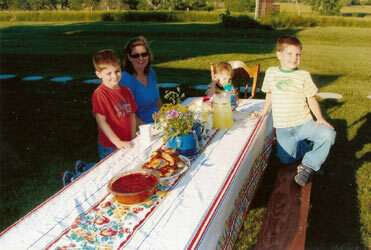 Featured in Midwest Living Magazine's July/Aug 2009 Issue, "Dinner on the Range." Featured in the New York Times' Frugal Traveler August 22, 2013 Article, "Motorcycles, Memorials and the Middle of Nowhere." Seth Kugel, one of their travel writers, was our guest during the Sturgis Rally. 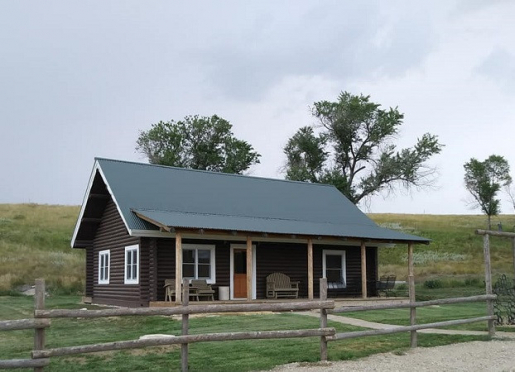 Article Summary: "Reaching South Dakota in time for the Sturgis Motorcycle Rally, the Frugal Traveler samples a bit of biker culture, hits tourist highlights and discovers that The Middle of Nowhere is a great thing when you are at Triangle Ranch." "Inspected and Approved by Bed and Breakfast Innkeepers of South Dakota"
Photography by , Armosa Studios, D. Davis and S. K. Williams. Triangle Ranch is located in a beautiful bend of the Bad River 8 miles north of I90 and 20 minutes from Badlands National Park. As you travel those 8 miles of country road you will see, in your 360 degree view, vast portions of Buffalo Gap National Grasslands, much the same as when the plains Indians hunted them. Be sure to watch for ranchers' cows grazing on the road. Just drive around them or beep, they're harmless critters. 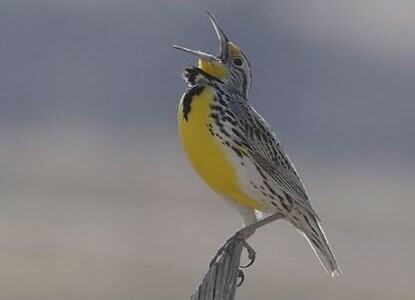 As you pass 3 other old family ranches and a reclaimed Minute Man Missile Site enjoy the sight of our native pronghorn antelope, 35+ species of birds including the red-tailed hawk, western meadowlark and long-billed curlew. You may see red, gray or swift fox, coyote, jack rabbit and maybe a badger or herd of grazing mule deer. Near the bridge (6 miles in) your vigilance might be rewarded by a rare sighting of a bobcat. Crossing the bridge you will pass our mailbox (made of an antique bedframe). Straight ahead is our ranch gate, flanked with iron wheels from the horse-drawn era with a rustic TRIANGLE RANCH sign hanging beside. A graceful, winding road leads you up a long hill. 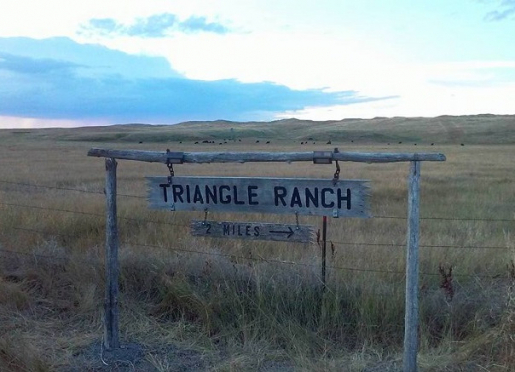 You are now on historic Triangle Ranch. Around the last bend in our road stands the "Alhambra",still surprising unsuspecting guests as it has since 1923. 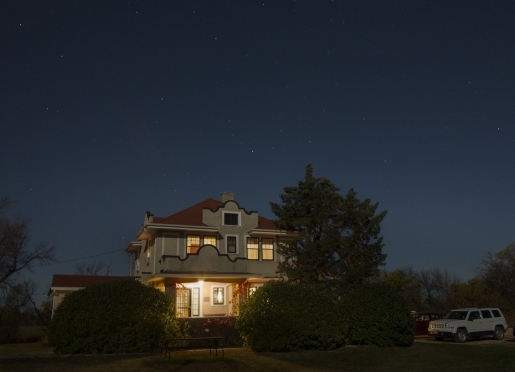 "A Spanish Castle in the midst of the South Dakota plains?" 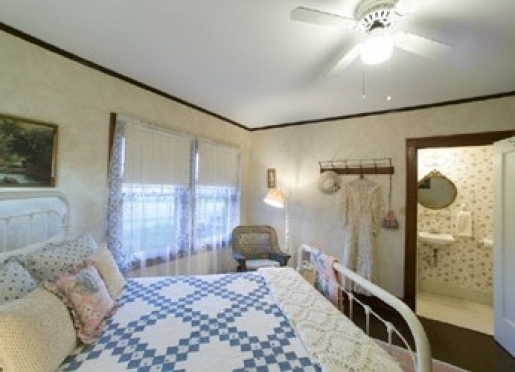 Triangle Ranch offers travelers 4 gracious, private, air-conditioned guestrooms from $98 single (click "Rooms & Availability" tab above for room pictures, descriptions and rates) and a separate "Carriage House", ideal for families or honeymooners! For larger groups and longer stays we offer a 3 bedroom Cabin Under the Hill nearby on our property. Satellite TV is shared in the Common/Living Room area with Fireplace. Wireless Internet Access Available in areas except the Cabin Under the Hill! 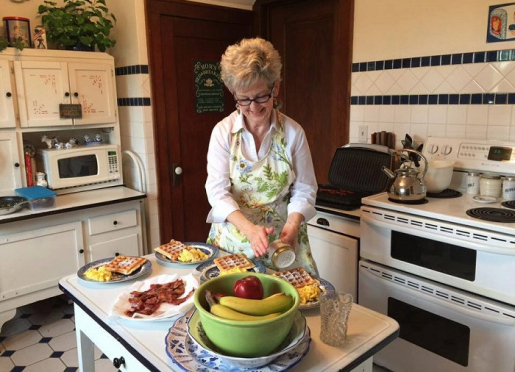 Enjoy our elegant but hearty meals prepared in the Triangle Ranch kitchen producing delicious meals, a 96 year tradition. 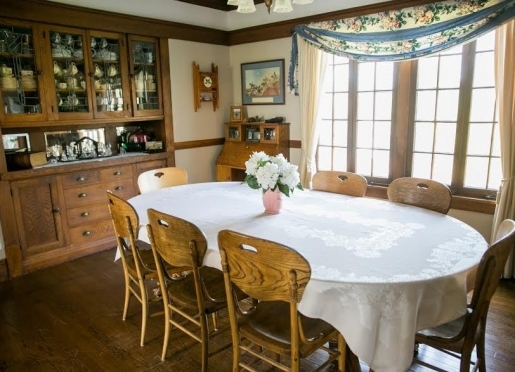 Around 8:00 a.m., smells reminiscent of "Grandma's house" drift up the stairwell, tantalizing you to sit at our old oak dining table and to enjoy a generous breakfast and warm conversation before starting you day. 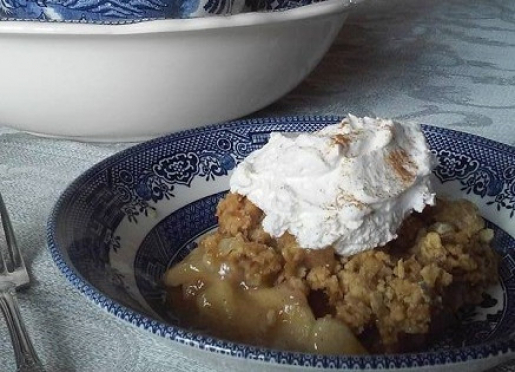 While dining on vintage china, view the changing of the seasons, the vivid sunsets and our 30 plus species of birds through the wavy panes of Great Grandma Grace's beloved french windows. Enjoy a special display of our parents' life-time collections of South Dakota rocks, minerals and fossils." Special anniversary or wedding package dinners may be served through the french doors in our solarium. Additional meals available, with advance notice (no later than 8:30 a.m. day of) for a reasonable charge. Read our Trip Advisor reviews on Dining at Triangle Ranch. Artists and photographers are welcome. We invite business meetings, retreats and family reunions. 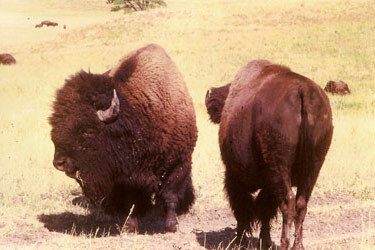 Tour the stark, but verdant beauty of the Badlands with its bison herd and native wildlife. End your day with a campfire sing or star gazing and refreshments. Come see us, your hosts are genuine and the coffee is always on. Just a 20-25 minute drive southwest from Triangle Ranch our rolling prairie scenery changes dramatically to the sharply eroded pinnacles, buttes and gullies of the Badlands National Park. A region called "mako sica" by the native Lakota and "les mauvaises terres a traverses" by early French trappers. Both mean "badland" or "bad land to cross". The early explorers and settlers must have gazed on the Badlands in awe as did famous architect, Frank Lloyd Wright, who wrote in 1935 "I've been about the world a lot, and pretty much over our own country, but I was totally unprepared for the revelation called the (South) Dakota Badlands...What I saw gave an indescribable sense of mysterious elsewhere - a distant architecture, ethereal... an endless supernatural world more spiritual than earth but created out of it." 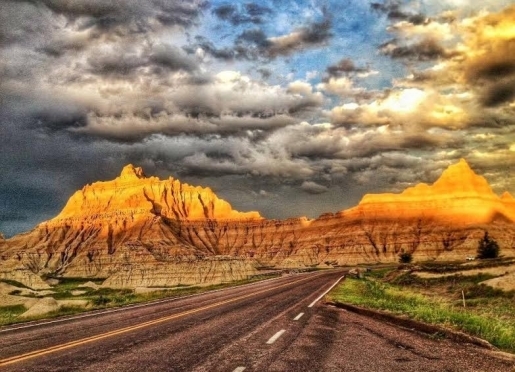 Now, of course, you can view the Badlands from the comfort of your air conditioned car via the National Scenic Byway, SD Hwy 240, named one of the world's top 20 "Drives of a Lifetime" by National Geographic's Traveler Magazine. Photographers rave about the quality of light and shadow in the Badlands and the "thousand tints that color charts don't show". The craggy, colorfully banded peaks, plateaus and natural amphitheaters are not composed of stone, as photos would suggest, but hardened clay, volcanic ash and minerals from the bottom of an ancient sea which covered what is now known as the Great Plains. Badlands Then: Eons ago as the earth's plates shifted and the Rocky Mountains were formed, this sea drained becoming a subtropical area which eventually became dried and barren. The fragile soil has eroded over thousands of years into the shapes you see today. The Badlands are projected to last only 600,000 more years with the water and wind erosion of our arid climate. Each changing season in the Badlands uncovers more of its treasure trove of prehistoric fossils ranging from the Metamynodon (massive rhino-like creature) to saber-toothed cats to prehistoric horses, pigs and rabbits. And beneath are the fossil remains of sea creatures such as Mosasaurs (30' marine lizards), Pterosaurs (flying reptiles) and Archelon (enormous sea turtles). Some are on display at Badlands National Park headquarters and at the South Dakota School of Mines Museum of Paleantology to the west in Rapid City. Badlands Now: The Badlands Park and surrounding grasslands are now home to 60 species of native grasses, American Bison (buffalo), muledeer, pronghorn antelope, big horn sheep, coyote, fox, the plentiful prairie dog and the shy black-footed ferret. The Sage Creek Wilderness Area is a must for seeing wildlife. Badlands Seasons: The seasons shift from barren and parched in late summer with awesome lightning storms to snow covered buttes under starry skies to a blooming, verdant prairie in spring, always with 360 degrees of the bluest of skies. Badlands National Park offers: As one of the American people's National Parks the Badlands offer the public beautiful drives, scenic overlooks, nature trails, hiking, bicycling and even areas to bring your horse and ride. The friendly park service staff man a wonderful interpretive Visitor's Center and Theater with a restaurant next door. 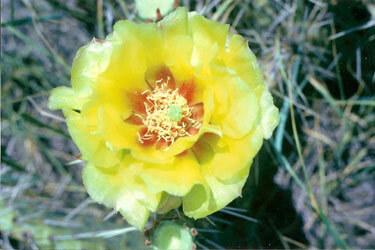 They also offer excellent educational venues, such as Night Walks and Junior Ranger programs. The area is probably the most untouched and natural of all our National Parks. The park headquarters even, are designed to blend into the landscape. The Cedar Pass Lodge Restaurant and the small western village of Interior, SD nearby are the only signs of habitation. 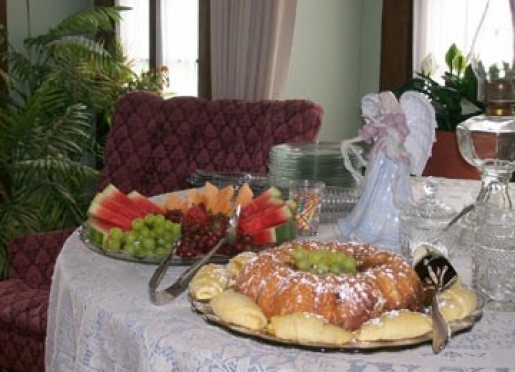 Many Guests enjoy returning to Triangle Ranch Bed & Breakfast for a delicious dinner and relaxing evening after their adventures in Badlands National Park. Triangle Ranch is a great spot for kids. The only TV is in the common area of the B & B, but they have all of the great outdoors to explore. Our Cowboy Carriage House is every kids dream, with cowboy bunk beds and a loft. Mom and Dad will be happy to know that the price is right too. Breakfasts are fresh-cooked with things such as feather-light waffles, crispy bacon, cheesy scrambled eggs and juice (well, coffee too for Dad). Our beautiful black mare, Shortcake, is always waiting for petting and treats. 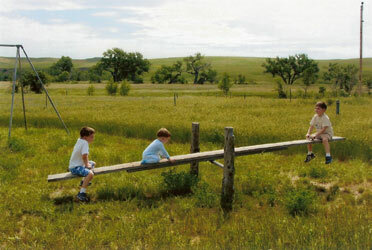 There's an old-fashioned playground just down in the meadow with swings and teeter-totter. While exploring the creek with Mom or Dad you may find some fossils and volcanicly formed rocks! Check out our family friendly specials. 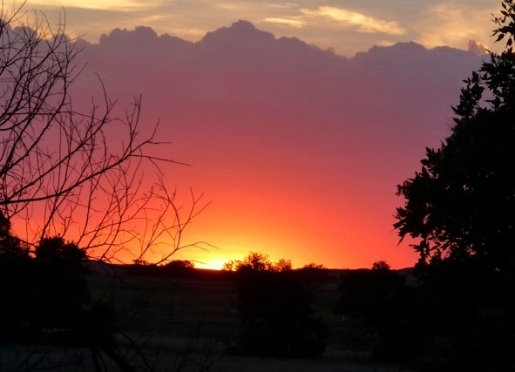 As the "east hills" are silouetted by the rose and gold of a South Dakota sunrise, you'll be positioning yourself for first sight of a legendary South Dakota mule deer or graceful whitetail. You've chased the November chill away with fresh coffee and rolls -- that shiver is from excitement. Hunting season dawns its 116th year on these prairies. 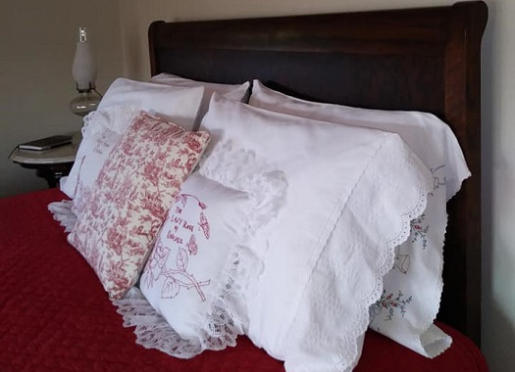 Within 15 minutes of public lands, our accommodation in our historic home, Carriage House or Cabin Under the Hill is both comfortable and private Guest Room/Rates page for photos. And so convenient to hunting areas vs. driving 45 minutes or an hour from nearby towns. After a great hunt, when the sun has set and the air cools, return to refreshments by the fireplace, satellite TV, a good game of cards and a few "stories". 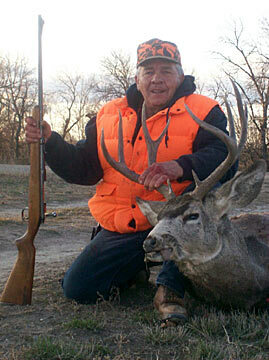 *Deer, antelope and wild turkey hunting on adjacent National Grasslands. 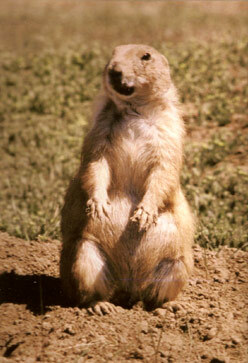 Prairie Dog Hunting: Regular lodging rates when reserving equal nights to days hunting. 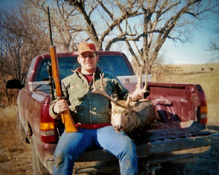 We provide National Grasslands maps or arrange for your hunting at local ranches. Landowner fee may be $50-75 per day per hunter. Note: For West River, northern Jackson County seasons and licensing info logon: http://gfp.sd.gov/hunting/ and call us today at (888) 219-1774. Capture the sunlit beauty of our land and wildlife. 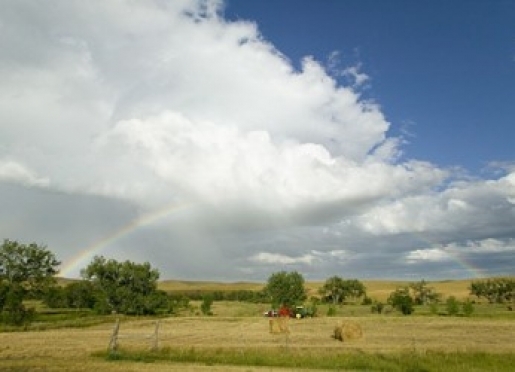 Whoever said that the South Dakota prairie was a wasteland? 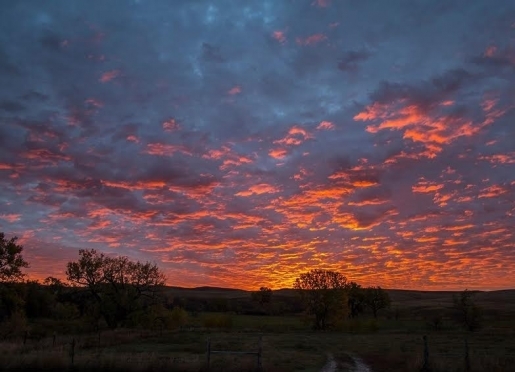 With your host's suggested itineraries, maps and advice coupled with your skill behind the camera lens, you will have the chance of a lifetime to capture the essence of Western SD...this is why we live here. 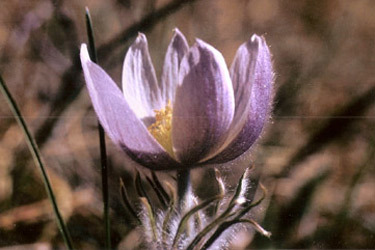 Photograph the indigenous plants and animals of the grasslands of South Dakota in their natural state. The light is second to none. In 1904, H.H. 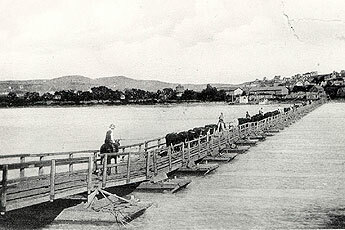 Williams drove his livestock west across a pontoon bridge on the Missouri River at Chamberlain, S. D., descending the same river bluffs where "Lewis & Clark" stood 100 years before. 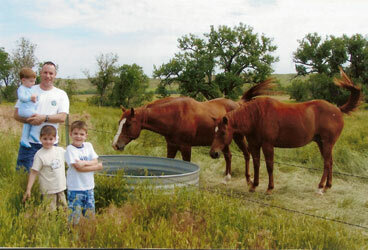 The panorama of virgin prairie and rough river breaks on the ranch is much the same as it was when H. H. and his family came west of the Missouri River. He expected to build his home that summer of cottonwood logs, cut and cured by the former owner. But much to his surprise there were no logs in sight! An enterprising lady homesteader in her 50's had "appropriated" the logs and built her own home during the previous winter. So the Williams family had to resort to a creekbank sod"dugout" until more logs could be cut. The log house they built the following year was a cozy home and many pioneer dances were held within its walls. However, about 1917, when the ranch was more established, H. H. and Grace began perusing the Sears, Roebuck & Co. Catalog of homes and dreaming of building one of those beautiful, but practical dwellings. Sears had become a leader in the manufacture and sales of "precut" homes. Perfect for folks way out on the prairie with no building centers nearby. 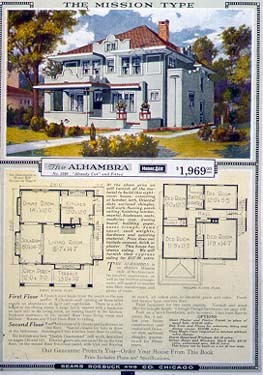 While neighbors were wishing for a "bungalow" or "foursquare", the Williams' kept returning to the color illustrated page featuring the "Alhambra". The adobe stuccoed, 2 1/2 story with it's mission-style parapetting, red tiled roof and red brick trim caught their fancy. Or maybe their teen aged daughters prevailed because of its stately, "romantic" appearance. Though its blueprints are dated 1917, it evidently took several good alfalfa seed crops to purchase and complete the Alhambra in 1923 for $3,825. It arrived on 2 railroad cars at Cottonwood, So. Dak., the local railhead. H. H.'s son "Willy" and a neighbor, spent 2 weeks with horses and wagons hauling the precut and labeled materials to the ranch 9 miles southeast. With its 409 windowpanes glistening in the South Dakota sun, it has stood overlooking the Bad River for six generations. Ninety-five (95) Christmas Eves have been celebrated, wedding vows said, birthday parties, reunions and funerals have all taken place here. 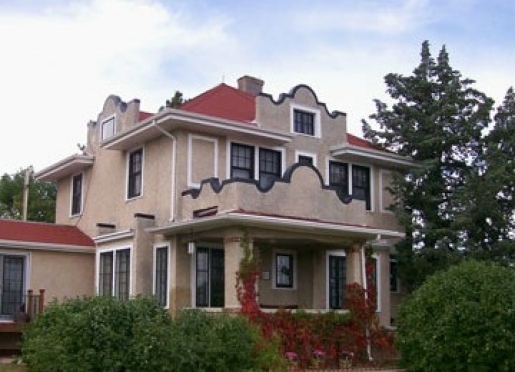 Now listed on the National Register of Historic Places, the "Alhambra" houses the Triangle Ranch Bed and Breakfast where H. H.'s great-granddaughter, Lyndy, and her husband, Kenny Ireland welcome guests with that same traditional South Dakota hospitality. 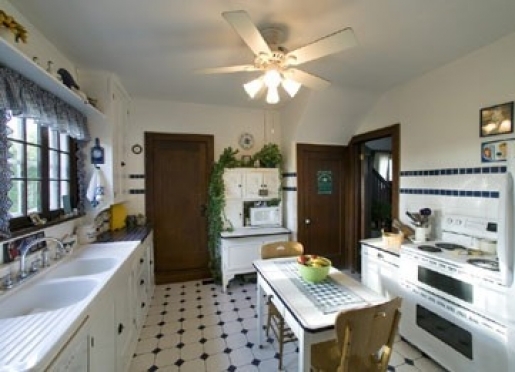 Pamela Carter Joern, author of the novel The Floor of the Sky, used the Alhambra model house on the Triangle Ranch B&B as the inspiration for the ranch house in her book. . . . ."When I saw the Alhambra on the prairie, I knew I had found Toby's house. The incongruity of it ”such elegance rising up out of the prairie ” was perfect for this tale of possible ruin and partial redemption." "A very beautiful home under a wonderful sky with millions of stars! Thank you for your hospitality. 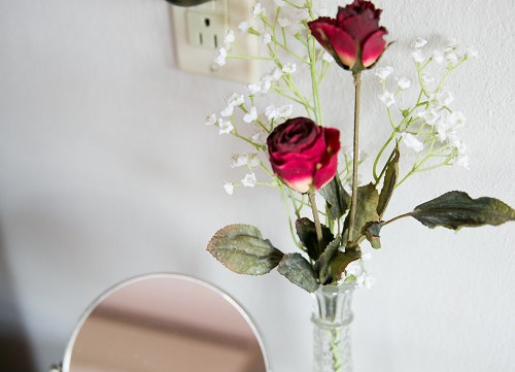 You give the B & B concept a nice personal touch. 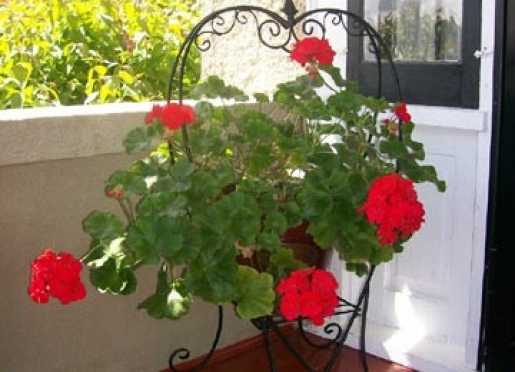 "We could not have found a more interesting, beautiful, spacious, well decorated, clean, quiet, private place to stay than your ancestral home, Alhambra! Throw in you two - your heartwarming kindness, smiles, generosity, tales, history and cooking. An oasis for two weary traveler's." 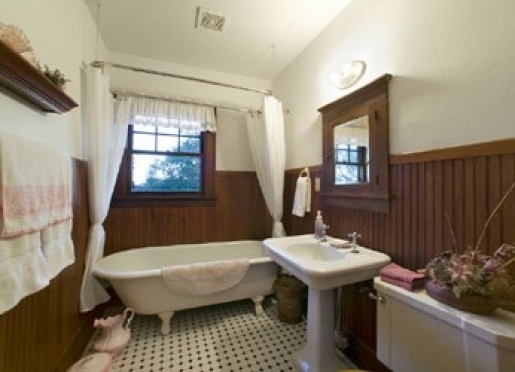 "As an historic preservationist I have seen many rehabilitated houses, but this is one of the best. You have done an excellent job preserving the small details as well as the major features. Thank you for taking such care with your part of our national heritage." 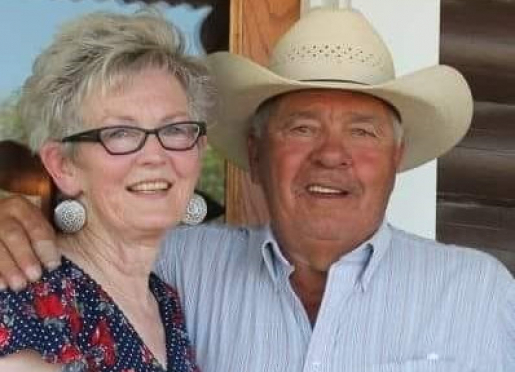 ~ Nancy & Jerry, NM, Keeper of the National Reg. of Historic Places, Rtd. "We had a great 3 night stay... grandsons loved petting the horses, the Carriage House ... campfire and the chocolate chip horse pancakes. 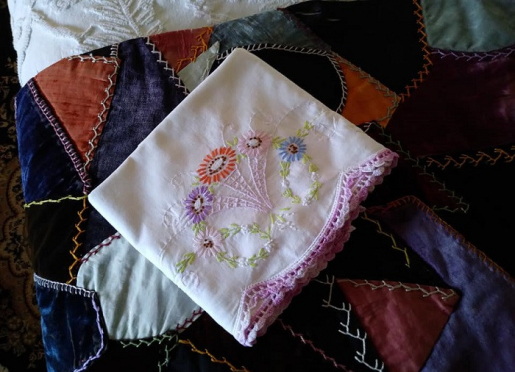 My husband and I loved the Irish Lover's Room ... the beautiful needlework was like none I've ever seen .. We felt at home with your warm hospitality. Thanks." Find many more kind testimonials at TripAdvisor.com. Travelers are always looking for memorable and relaxing experiences. Let’s discover more through the words of our innkeepers. Many thanks to Kenny and Lyndy Ireland for sharing their own secrets with BBOnline.com! a. 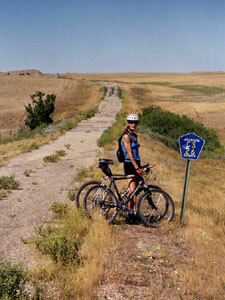 To tour and hike Badlands National Park nearby. ATTN: Badlands National Park is hosting their 3rd annual Astronomy Festival July 25-27. 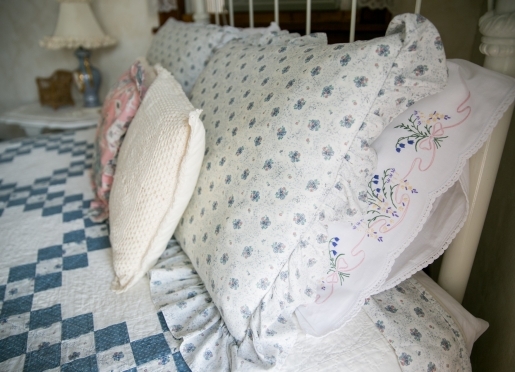 Be sure to take it in while enjoying great accommodations at Triangle Ranch. g. Birding enthusiasts find many species to enjoy. h. We host many satisfied hunters . 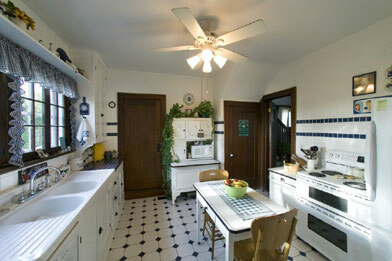 Our inn is known for its historic beauty and peace, our hospitality and great food (ae. Midwest Living feature, July/August 2009; New York Times "Travel", Sept. 2013). We are rural so our mailing address is Philip but our best known nearby town of Wall, SD is the home of the World Famous Wall Drug Store, a real drugstore and huge mall emporium full of western history, unique shops, original western art and tons of kid's activities. Billed the largest tourist stop in the world but so much more. Compliments range from many claiming we were the "highlight of their trip to the West", "feeling just like home" and "superior hospitality"
Best kept secrets are the beautiful back roads drives and the local characters you might meet along the way. We have many hiking opportunities and some rock hunting on Triangle Ranch. Our favorite restaurant is the Red Rock Cafe in Wall, SD. 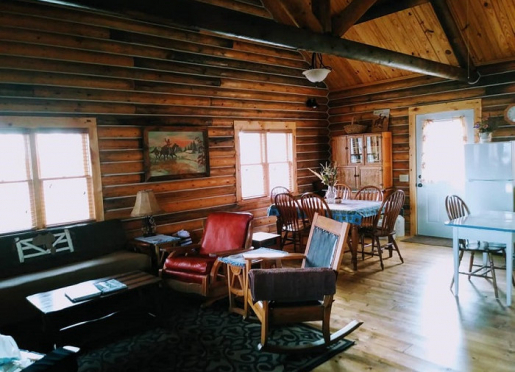 Triangle Ranch offers 4 private guestrooms, a cabin-sized Carriage House and a 3 bedroom Log Ranch House. We do not accept pets in our inn. There are no pet accommodation nearby.